I think that people often over look the dollar store when it comes to buying goods and stuff for your home. Hopefully this list will change all that! 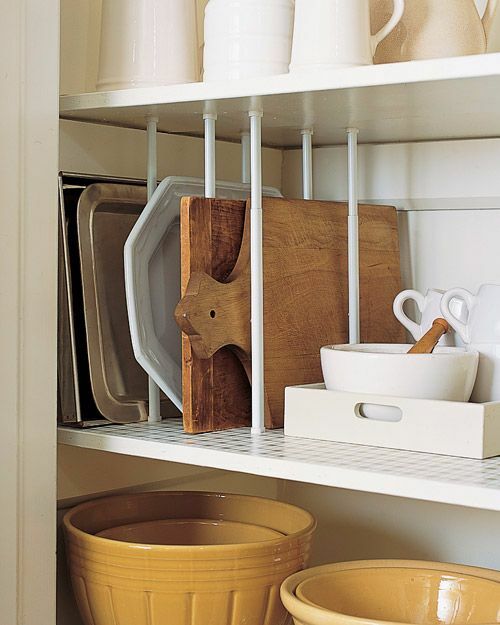 Take a look at these 11 ways that you can organize your kitchen all while saving money. This list will having you thinking twice the next time you go to the dollar store! These slender plastic baskets were actually made to organize your desk drawer, but they work just as well for cutlery, too! 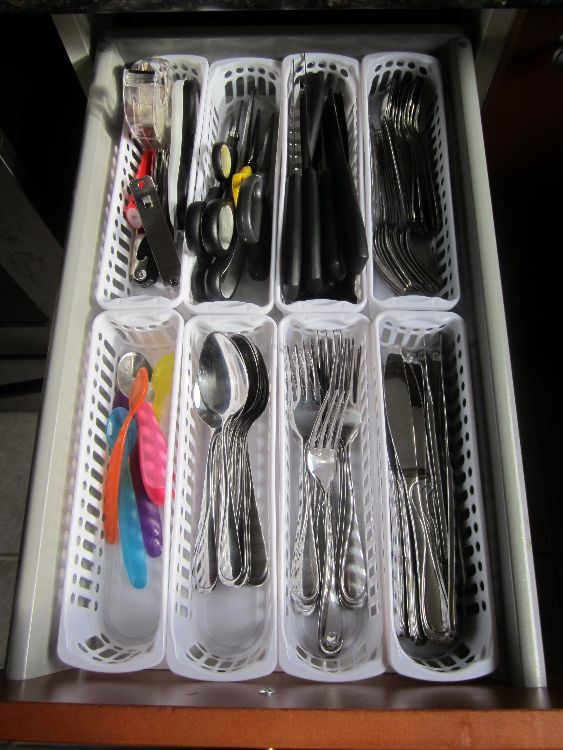 Keep your cutlery organized and neat all while saving some money. 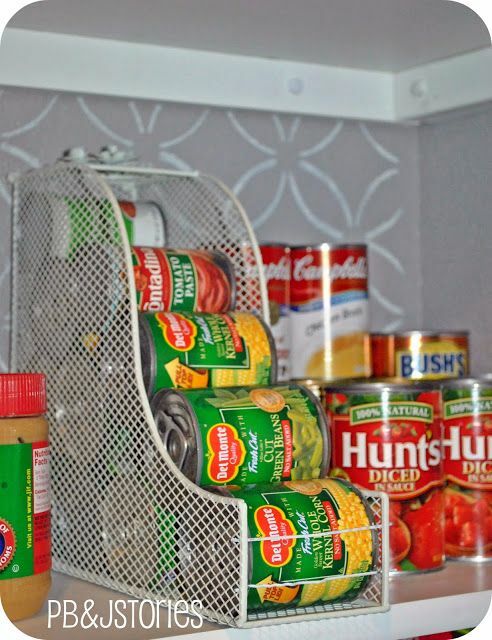 Use a wire magazine rack to store your canned goods. 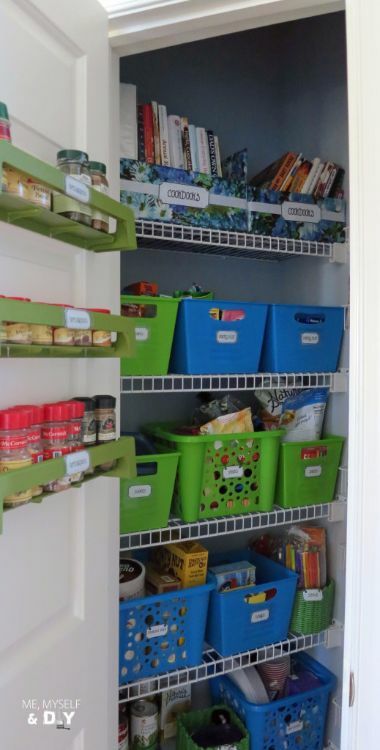 This will keep your pantry neat and tidy — plus it will make room for more items. 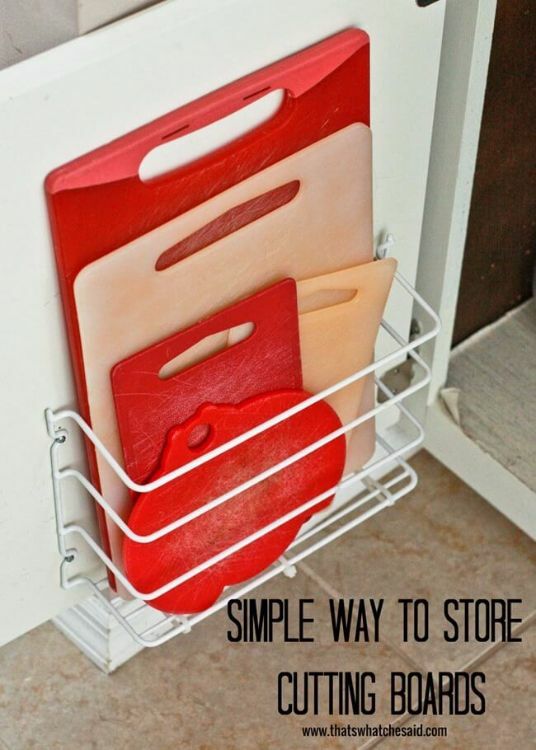 Rather than having your cutting boards and trays stacked on top of one another, use this handy hack instead. Get some tension rods from the dollar store and mount them inside your cupboards like pictured below. This will take up less space and make these items more accessible. If you can’t find tension rods, here is another hack to store your cutting boards — a hanging wire organizer that you mount to the inside of your cupboard door. A great way to utilize dead space. A shower caddy is a great gift for someone who is going off to college and living in a dorm, but they are also great for under the kitchen sink, too! 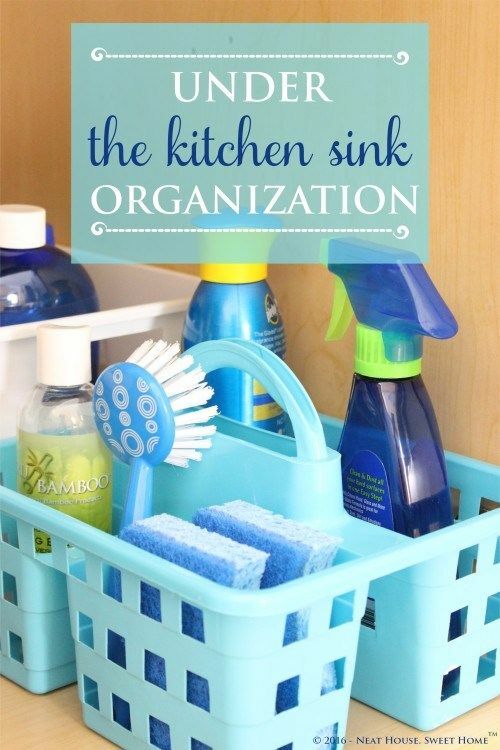 You can put all your cleaning supplies in them to keep the area under the kitchen sink organized — plus, you now have a great little carrier when it comes time to clean the house! Organization systems from home improvements stores can cost you hundreds. This blogger spent $20 at the dollar store and did all this! Next time you go to the dollar store pick up some plastic containers.